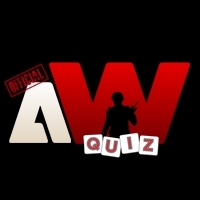 • Official atWar Quiz series will be held for 5 days in a row, once in a month. • Official atWar Quiz offers you an award of 500 ProtoCoins prize per month! See you next time again. Congrats to the winners! Fun idea though, reminds me of a while ago where we did have something like this. Unofficialy though. Woohoo we used to do this in starcraft with bots asking the questions! Also you could do a quiz not related to atwar. It could literally be anything. World History, Math, Science etc... that would be really cool. Main target of the Official AW Quz is keeping the activity with some fun stuff and having fun all together where you can also win some prizes. Yesterday we brought the number of 107 players in the Main Room while holding the quiz. To be honest, we didn't expect that big number. There were mainly players who participated the quiz, but also, there were several trolls and spammers, so we decided to post the questions marked with red, so everyone can see it. Even with red marked questions, the amount of answers was huge, but we managed to end the first day (of 5 days) of quiz for the 1st month. After the first day ended, Waffel, 4nic, Tengri, Dave, myself and few other guys tried the site 'Kahoot' for easier answering and to avoid the spam and big amount of answers from everyone. 'Kahoot' seemed as fine site at first look, but on the other side, it seems like it is broken. Only quiz creator sees the questions, while participants see only answering shapes without answer. The only possible option with 'Kahoot' is streaming the Quiz host's screen which is in our opinion too complicated for just 10 questions of quiz per day. So, decision is that we will keep holding the quiz in the Main Room chat. Questions will be marked with bolded red. All abusers, spammers and trolls will be muted. Anyways, if someone knows any another quiz holding site similiar to 'Kahoot', we are willing to take a look on it and consider if it is good enough for holding our quiz through it. Since then, we will hold it the same way like yesterday. Despite the 'chaos' i like it's in main AW lobby... brings community together. Called collateral damage. Not the muters fault. Do we care about this quiz? But similar to Kahoot, it seems to only support multiple choice questions. Since the problem seems to stem only from the number of participants and the limitations of the in-game chat, I would recommend Dave to expose logs of the main chat if that's not already being done. It would probably serve better to keep the competitions in-game and would not need to over-engineer a solution but is contingent on the architecture of the chat system. Someday when I have time maybe I'll code an interface for us to easier run the quiz from. For now I just keep the chat log open while we do it so I can check answers, although Croat catches them pretty fast already. Mods have access to the chat logs also, although I wouldn't want to expose it to a wider audience. Too much potential for abuse. I would be open to a 3rd-party solution also... checked out that myquiz link but it would be nice if we could find one that allowed free-form answers, not just multiple choice. An ingame tournament engine would be nice to see as a priority, however I understand that takes more resource to develop. You guys are doing a fabulous job even with the current lack of resources but still doing much more regardless and that should be made clear with the rest of the user base to know that things are and will be moving forward. Kudos to all of you. Also a big thank you to Croat for organizing this. He took care of all collecting all the questions and checking answers (I just copy and pasted from him). It was great to see so many people come together in the chat room for this. I hope we will do this again soon!